David Harris studies, writes and teaches about police behavior, law enforcement and race, and politicing and immigration, search and seizure law, and national security issues and the law. Professor Harris is the leading national authority on racial profiling. His 2002 book, Profiles in Injustice: Why Racial Profiling Cannot Work, and his scholarly articles in the field of traffic stops of minority motorists and stops and frisks, influenced the national debate on profiling and related topics. His work led to federal efforts to address the practice and to legislation and voluntary efforts in over half the states and hundreds of police departments. He has testified multiple times in the U.S. Congress and before many state legislative bodies on profiling and related issues. His other books include Good Cops: The Case for Preventive Policing (2005), and Failed Evidence: Why Law Enforcement Resists Science (2012). He gives talks and does professional training for law enforcement, judges, and attorneys throughout the country, and presents his work regularly in academic conferences. Professor Harris is the creator and host of the Criminal Injustice podcast, the only broadcast or podcast show for general audiences fully dedicated to the discussion of the many pressing issues in the criminal justice system. The show features Professor Harris’s interviews with the most compelling and important police chiefs, judges, prosecutors, writers, policy wonks and advocates working in criminal justice today, and it also includes news and other bonus features. Now in its fifth season, Criminal Injustice includes more than 80 full episodes, and numerous other segments. It reaches tens of thousands of listeners every month in every state and around the world. Professor Harris also writes and comments frequently in the media on police practices, racial profiling, and other criminal justice and national security issues. He has appeared on The Today Show, Dateline NBC, National Public Radio, and has been interviewed by the New York Times, the Wall Street Journal, and the Los Angeles Times, among many others. In 1996, Professor Harris served as a member of the Civil Liberties Advisory Board to the White House Commission on Aviation Safety and Security. Professor Harris received the Excellence in Teaching Award at Pitt Law in 2009. In 2015, he received the Jefferson Award for Outstanding Public Service, for his work building bridges between police and the communities they serve in Pittsburgh and around the country. Professor received the Buchanan, Ingersoll & Rooney Faculty Scholar Award and the Distinguished Public Interest Professor of the Year Award, both in 2015, and the YWCA of Greater Pittsburgh Racial Justice Award in 2012. Racial Profiling, in Reforming Criminal Justice (E. Luna, ed.) (Academy of Justice, 2017). The Dangers of Racialized Perception and Thinking by Law Enforcement​, in Deadly Injustice: Race, Criminal Justice and the Death of Trayvon Martin, A. Farrell, D. Johnson, K. Brown, eds. (NYU Press, expected 2015). Profiling Unmasked: From Criminal Profiling to Racial Profiling, Alexander Papachristou, ed., Blind Goddess: A Reader on Race and Justice 49 (New Press, 2011). Good Cops: The Case for Preventive Policing, (New Press, 2005). Profiles in Injustice: Why Racial Profiling Cannot Work, (New Press, 2003). Terry Stops and Frisks: The Interplay Between Common Sense and Empiricism (with D. Rudovsky), 78 Ohio St. L. J. (forthcoming 2018). Riley v. California and the Beginning of the End for the Third Party Search Doctrine, 18 Penn J. Constitutional Law (publication forthcoming, 2016). Across the Hudson: Taking the Stop and Frisk Debate Beyond New York City, 16 N.Y.U. J. Leg. and Public Policy 853 (2013). Immigration and National Security: The Illusion of Safety Through Local Law Enforcement Action, 28 Arizona Journal of International and Comparative Law 2 (2011). Picture This: Body Worn Video Devices ('Head Cams') as Tools for Ensuring Fourth Amendment Compliance by Police, Texas Tech Law Review, (Forthcoming). Available on SSRN. On the Contemporary Meaning of Korematsu: 'Liberty Lies in the Hearts of Men and Women', 76 Missouri Law Review 1 (Winter 2011). Available on SSRN. Taser Use: Report of the Use of Force Working Group of Allegheny County (November 10, 2009), 71 University of Pittsburgh Law Review 719 (2010). Available on SSRN. Law Enforcement and Intelligence Gathering in Muslim and Immigrant Communities After 9/11, 34 New York University Review of Law & Social Change (2010). Available on SSRN. Book Review: "Snitching: Criminal Informants and the Erosion of American Justice." 25.1 Criminal Justice 44 (2010). Available on SSRN. 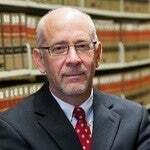 David A. Harris, How Accountability-Based Policing Can Reinforce - Or Replace - The Fourth Amendment Exclusionary Rule, Ohio State Journal of Criminal Law, Vol. 7, 2009. Available on SSRN. Law Enforcement and Intelligence Gathering in Muslim and Immigrant Communities After 9/11, 34 New York University Review of Law & Social Change 1 (2009). Available on SSRN. The Importance of Research on Race and Policing: Making Race Salient to Individuals and Institutions Within Criminal Justice, 6 Criminology & Public Policy 5 (2007). Available on SSRN. How the Commander in Chief Power Swallowed the Rest of the Constitution, 26 Criminal Justice Ethics 44 (2007). Available on SSRN. The War on Terror, Local Police, and Immigration Enforcement: A Curious Tale of Police Power in Post-9/11 America , 38 Rutgers L. J. 1 (2006). Available on SSRN. Using Race or Ethnicity as a Factor in Assessing the Reasonableness of Fourth Amendment Activity: Description, Yes: Prediction, No (Symposium: The Permissibility of Race or Ethnicity as a Factor in Assessing the Reasonableness of a Search or Seizure) , 73 Miss. L. J. 423 (2003). New Risk, New Tactics: An Assessment of the Re-Assessment of Racial Profiling In the Wake of September 11, 2001, 2004 Utah L. Rev. 913 (2004). Teaching Criminal Law in the Post-9/11 World: If Everything Has Changed, So Must We, 48 St. Louis U. L. J. 1249 (2004). The Reality of Racial Disparity in Criminal Justice: The Significance of Data Collection, 66 Law & Contemp. Probs. 71 (2003). Racial Profiling Redux, (Symposium: New Approaches to Ensuring the Legitimacy of Police Conduct), 22 St. Louis U. Pub. L. Rev. 73 (2003). Lead U.S. Speaker, “Roundtable on Current Debates, Research Agendas, and Strategies to Address Racial Disparities in Police-Initiated Stops in the UK and USA,” John Jay College of Criminal Justice, (Aug. 2011). Speaker, “Roundtable on Stop and Frisk Practices in the U.S.,” Convened by The Urban Institute, (Sept. 2011). Speaker, “Pragmatism vs. Theory in Developing Police Accountability Systems,” Control of Police Misconduct in a Post-Exclusionary World: Can It Be Done?, St. Louis Univ. School of Law, (Feb. 2012). “Racial Profiling and Muslims: Creating Real Safety and Security Through Intelligent Law Enforcement,” Univ. of Illinois College of Law, (March 2012). Presenter, “The Impact of Profiling on Muslim Americans,” Muslim Americans and Civil Society, (April 2012). Facilitator/Advisor, U.S. Attorney’s Working Group on Civil Rights and Law Enforcement. Expert Panel Witness, U.S. House Judiciary Committee, Subcommittee on Crime, Terrorism, and Homeland Security, Hearing: 21st Century Policing: How Smart Policing Targets Criminal Behavior Testimony: Why Smart Policing Means Building Partnerships Between Police and the Communities They Serve. U.S. Senate Judiciary Committee, Subcommittee on the Constitution, Civil Rights and Human Rights, Testimony: “Ending Racial Profiling in America”. Consultant, U.S. Department of Justice. Speaker, Speech on Racial Profiling for the Twentieth Century Club. Speaker for Allegheny Co. Bar Assn. Young Lawyers Division Event, (Feb. 2012).